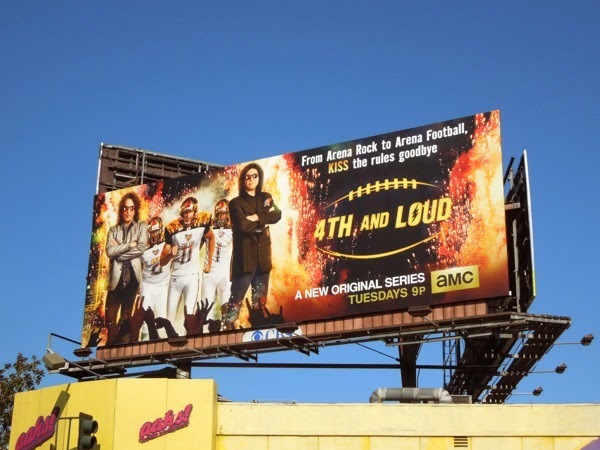 This Summer sports and rock n' roll collide as cameras go behind-the-scenes of the LA KISS Arena Football team's inaugural season courtesy of AMC's new fly-on-the-wall series. 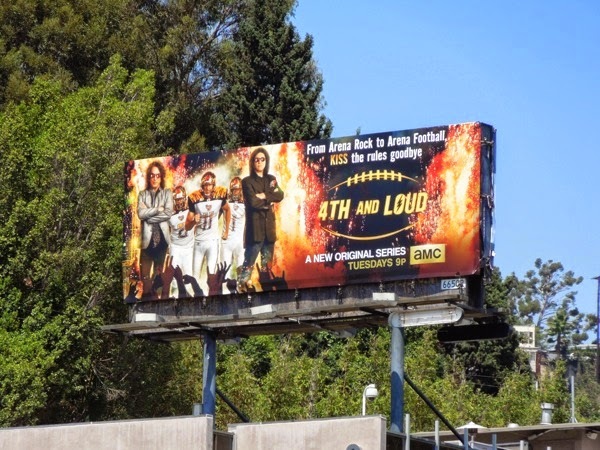 Can these experienced rock stars use their decades of razzle dazzle to turn their team into the stars of arena football. 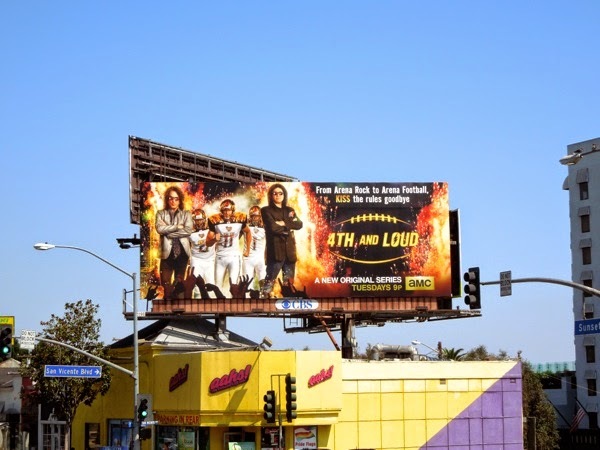 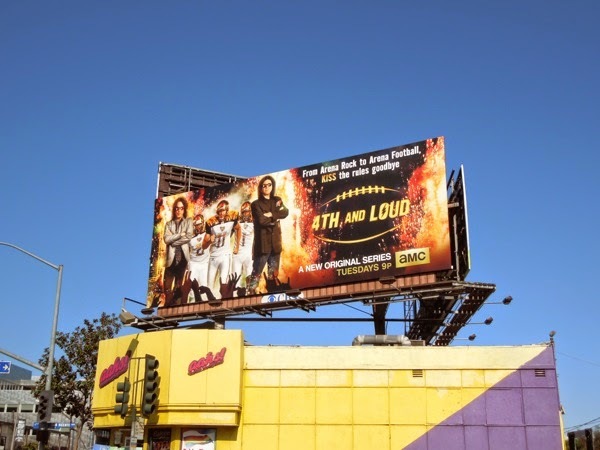 These explosive series premiere billboards for 4th and Loud were spied along L.A.'s busy Sunset Strip on August 6, 2014. 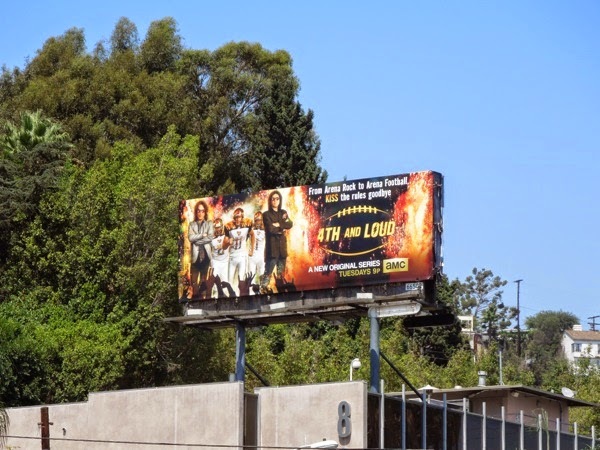 Gene Simmons is no stranger to reality television as you can see from these Gene Simmons Family Jewels billboards which lasted for seven seasons on A&E, and to see the co-owner rockers in their iconic stage makeup, be sure to also take a look at this John Varvatos KISS fashion billboard from earlier this year.